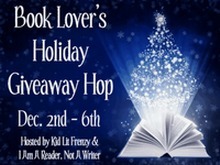 Seaside Book Nook: Book Lover's Holiday Giveaway Hop!!! There are hundreds of blogs participating and each has their own entry rules and geographic limits, so be sure to read the rules for each one. This hop starts December 2nd and and runs through December 6th, midnight. What am I giving away??? You get to chose your own book for the Holiday! What do you need to do to enter - complete the form below! Check out all the give aways here. Life, Love, and the Pursuit of Freethrows by Janetter Rallison. Excellent, fun read. Thanks for the giveaway! A good book I've read recently is The Dollhouse Murders by Betty Ren Wright. A Clockwork Christmas I'm giving it away on my website! Vivid by Beverly Jenkins was an awesome read. Thanks for the great giveaway! Have a wonderful holiday! Last books I've read have all been great. Everneath, Scary School, Garden of Apples. I've read just read book 1 & 2 by Kathleen Kent called "The Heratic's Daughter and The Traitor's Wife". Both books were great reads to me. I really enjoyed The Memory Palace by Mira Birtok! I've read a bunch of good books lately but most recently To Die For:A Novel Of Anne Boleyn by Sandra Byrd. Very recently finished "We Need To Talk About Kevin" by Lionel Shriver. Very very good, but also very disturbing. A good book I just read was BLOOD SECRETS by Jeannie Holmes. Thanks for the giveaway. I just read Scorpio Races. It was great! I just finished shatter me by tahereh mafi yesturday and oh dear god this book is AMAZING. I had my doubts because i hate how some books are so hyped but WOW , BLEW MEAWAY!! A Discovery of Witches by Deborah Harkness. I am telling everyone in my life about how amazing this book is! I'm reading Lost in Shangri-La by Zuckoff...very interesting. I just finished Unlocked: A Love Story by Karen Kingsbury. A recent title I enjoyed is the one I'm giving away, actually. Steve Vernon's Lunenburg Werewolf. I just finished The story of beautiful girl and it was really good. Thanks for the giveaway! I just finished Shatter Me! At first, I wasn't sure about the book, but I really liked it!! I loved Becoming by Raine Thomas. I just finished Shatter Me by Tahereh Mafi and it was amazing! I recently finished A Fierce Radiance by Lauren Belfer & I loved it. I have to say The Big Bad Wolf Romance Bundle by Heather Killough-Walden was my favorite lately. Wereowolves have been my thing lately. Must be because hunting season was around, and my husband tends to get extremely hairy during that time, LOL! Definitely The Unbecoming of Mara Dyer! One of my favorites this year. I recently read a contemporary trilogy that I will never forget they were so good! Treading Water, Marking Time and Starting Over by Marie Force! Beautiful love stories!!! I just read The House of Mirth. It was amazing! I really enjoyed From New York to Dallas by J.D.Robb. I always enjoy that series. I recently read A Long Long Sleep by Anna Sheehan and was surprised by how good and interesting it was. It was a darker and more ambigious a book than I was expecting, and not really a typical YA book. I just finished Rot & Ruin. Great book I can't wait to get the second book Dust & Decay. Crossed(sequel to Matched)by Ally Condie! Thank you so much for your lovely giveaway! I just read Meerkat Wars by H.S. Toshack. It was so good!! Thanks! I recently read Fruit of The Lemon. It was a good book, not great but interesting. anna and the french kiss loved this book. I recently read Enclave by Ann Aguire and really enjoyed it! I read A Thousand Splendid Suns! It was sooooo good! Thanks so much for the giveaway! I read Wither by Lauren Destefano and it was awesome! Just finished reading The Hunger Games trilogy and can't wait to see the movie next year. Thanks for the giveaway! A book that I recently enjoyed was Megume and the Trees by Sarah Toshiko Hasu. Recently finished Shades of Grey by Jasper Fforde. It was good but like his other series better. Safe Haven by Nicholas Sparks was GREAT!! The Last Waltz by GG Vandagriff was fantastic. Hmm, recently read good book would be Trance by Kelly Meding. I recently read Palace Walk and loved it. I just finished Juliet Immortal by Stacey Jay, which was really great. Jennifer Turner's Eternal Seduction. Awesome, awesome book! I just finished reading Aprilynne Pikes, Wings, Spells & Illusions - They are SO GOOD! I've just finished 2 books this past week. Borne Vampire 1: Whisper To Me by Wend Petzler. And Shifter's Storm by Vonna Harper. Great books. Daughter of Smoke & Bone by Laini Taylor was the latest 5-star book that I read! The Unbecoming of Mara Dyer by Michelle Hodkin is a great story. Thanks for the giveaway. I recently finished Dark Lover by J.R. Ward and loved it. Every You, Every Me by David Levithan was very good! Thank you for the giveaway! My book club read The Girl with the Dragon Tattoo and we all really enjoyed it. Going to order the sequels. I would recommend To Die For by Amy Plum! I really enjoyed Silver Girl by Elin Hilderbrand. Thanks! I read Under the Cajun Moon by Mindy Starns Clark. I read Dark Seeker by Taryn Browning! great book!! I read Road Dogs by Elmore Leonard. I just finished Smokeless Fire by Samantha Young and it was really really good. I'm currently reading Born Wicked and LOVING IT. Old follower. I love gift cards. Come visit me as well. I liked 'I Still Dream About You' by Fannie Flagg. i read Ride of a Lifetime by Kitty McGregor! Also love most of Karen Kingsbury novels - Unlocked being the best, though the Baxter series is awesome too. I recently read a really good historical mystery -- A Burial at Sea by Charles Finch. Thanks for this amazing giveaway - I would love to win! I just read Clockwork Angel and thought it was great! 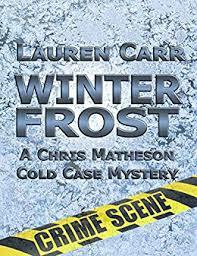 I read Touch of Frost and loved it! I really enjoyed The Help by Kathryn Stockett. If you like Historical Fiction, Freedom's Sword by J.R. Tomlin is awesome! I just read Born at Midnight and it was awesome! Thanks I just read Shatter me and its amazing! I just read The Help before seeing the movie, and both were great. I just finished reading Shatter Me. It was amazing! I just read Awake at Dawn by C.C. Hunter and loved it! Thanks! I just finished Die For Me by Amy Plum. I really enjoyed this. I just finished The Night Strangers by Chris Bojalian. It was creepy - but in a good way! Right now I am on the last book for the Need series by Carrie Jones. Its pretty cute and is only three books so far. The fourth doesn't come out until next year. Its about pixies and weres. What a great giveaway thank you so much! Im reading if i die by rachel vincent love it! Thanks for the giveaway! I recently read Stone Cold Seduction by Jes Macallan. 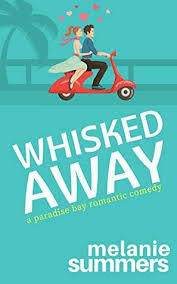 I also would recommend Unleashed by Sara Humphreys! Thanks for the great giveaway and for participating in this blog hop! I just finished a good book, especially if you like Highlanders, "My Fierce Highlander" by Vonda Sinclair. A good book that i recently read: Silence by becca fitzpatrick! Explosive Eighteen by Janet Evanovich. Great book. I just finished Legend by Marie Lu. It was good! I enjoyed the fantasy novel, "Luthiel's Song: Dreams of the Ringed Vale." I'm on the second book in the series, now. "I Beat the Odds" by Michael Oher. Very inspiring! I recently read IMMORTAL RIDER by Larissa Ione! Great book!!! It is the second of the Lords of Deliverance series, the first is ETERNAL RIDER. I recently read "Iron House" by John Hart, which I really enjoyed. Currently reading Blood Red Road - very intense and interesting!!!! I recently finished The Vision by Jessica Sorensen...it was the third in the series and pretty good. I've read two good books lately- Scary School for the younger readers and Obsidian for the older readers. Both awesome books! I enjoyed Matched. Not my typical genre but it was good. I recently read Half-Blood by Jennifer Armentrout. Loved it! The last book that I read that I loved was the Unbecoming of Mara Dyer. Proof of Heaven was a good book that I read. Best book I've read this year, was The Gossamer Sphere by Melissa Conway. I just read Fateful by Claudia Gray. My two favorite books I've read recently are The Help and Matched. Dark Inside by Jeyn Roberts.. SO GOOD! I am currently reading Darynda Jones. I finished First grave on the right, I am now reading second grave on the left..i am loving this series! I recently read The Art of Racing in the Rain. I loved it! It reminded me of my own rescued pup. I am currently reading Deep Disclosure by Dee Davis and holy explosions! I finished Melissa Schroeder's Infatuation and loved it. I loved True Grime by Natasha Deen and Blood by K.J. Wignall. When Blood calls is the first book in a series by JK Beck! GREAT series with more to come! I just finished Be Careful What you Pray Fo by Kimberla Lawson Roby. I was a great read! I've read several great books recently. Crossed by Ally Condie, Primal Law by J.D. Tyler, and The Best of Me by Nicholas Sparks were all really good. Catching Fire by Suzanne Collins...it was great! I recently loved Dust & Decay, the follow up to Rot & Ruin. They've made me love the zombie genre. Recently finished the Hunger Games Trilogy, getting ready for the March release. An awesome series. Just finished Saving June and it was amazing. Made me cry. I am currently reading Home for the Holidays by Debbie Macomber. i recently read shatter me, i loved it! i can't wait for the next book in the series. I'm reading Beautiful Chaos right now & it's amazing! Thanks for the giveaway! I recently read Nation by Terry Pratchett which was really good! Actually, it's a reread, but I enjoyed it just as much as I did the first time I read it. It's funny and heartbreaking and it's got some great characters! I'm in the process of reading a Star Wars book called Death Troopers and I'm loving it! SAVING JUNE BY HANNAH HARRINGTON! If you enjoy YA books, I would recommend Unleashed by Nancy Holder. I also read Drink Deep by Chloe Neill and thats a great book, but its paranormal and non-YA. Happy Holidays to you and thanks for the giveaway! Defending Jacob by William Landay. Comes out at the end of January - AMAZING! I think Cinder stands out as the funnest fastest read of this month so far. I'm deep into a dystopian that keeps creeping me out so I can't read it late at night. Hahaha... but I can't stop, either!! Thank you so much for this giveaway. A Book I have read recently and loved is Shatter Me. I've recently read the Locke & Key comics, which are FANTASTIC! But if you're not into comics, I really enjoyed Crossed by Ally Condie. It has been a while since I have read a "good book". The last book I read was Dead man walking but I wouldn't put it in that category. I read recently Double Cross by Carolyn Crane. That was sooo good, I cannot wait to the third book! The Unbecoming of Mara Dyer by Michelle Hodkin. Fabulous, amazing book! I've recently read Anna Dressed in Blood. The Girl of Fire and Thorns! I just finished Beyonders by Brandon Mull.